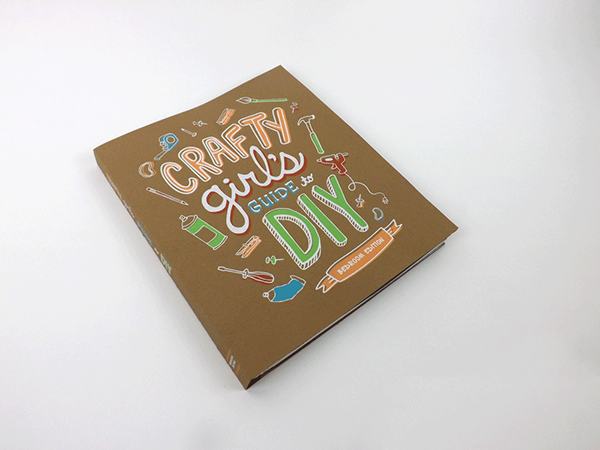 Crafty Girl's Guide to DIY is an introduction to the basics of DIY or do it yourself room decor. This book is perfect for young women in their early teens and twenties who want to personalize their own space, on a budget. 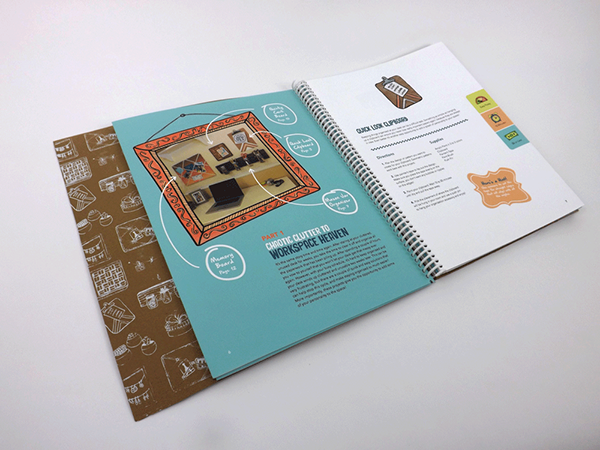 The book includes 11 projects to help decorate and organize a bedroom. Along with 6 tear-out patterns that can be used for decoupage, and 4 stencils for spray painting. The book also has a rating system that states the cost, production time, and the level of difficulty for each project. The projects range from $2 to $35 to make and can take anywhere from five minutes to an hour to create. 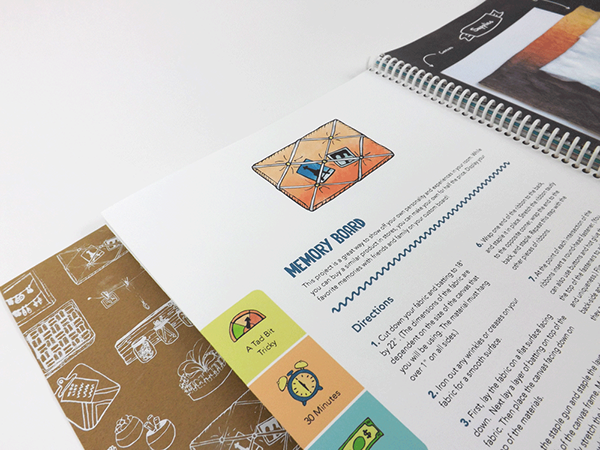 My goal in designing this book was to create the ultimate source for DIY beginners that provides the most valuable information about DIYing. To emphasize the crafty aspect of this book, there is a great deal of fun illustrations and photography that are used to communicate the information. 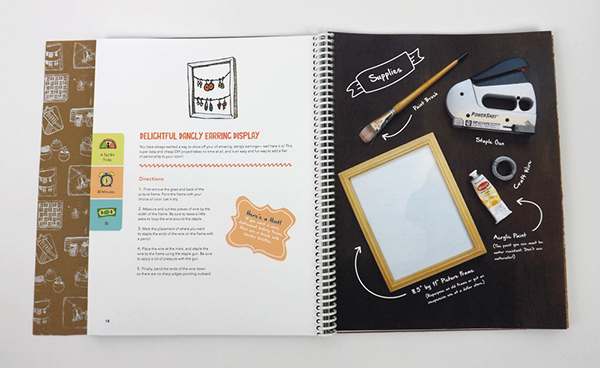 In addition, the book cover design is hand illustrated and screen printed.